Are vegans villains in the fake honey furore? VEGANS have been drawn as villains in the fake honey furore with Australia’s honey bee council sour on the consumer watchdog and a state food authority for failing to ban a company selling apple juice concentrate as vegan “honey”. 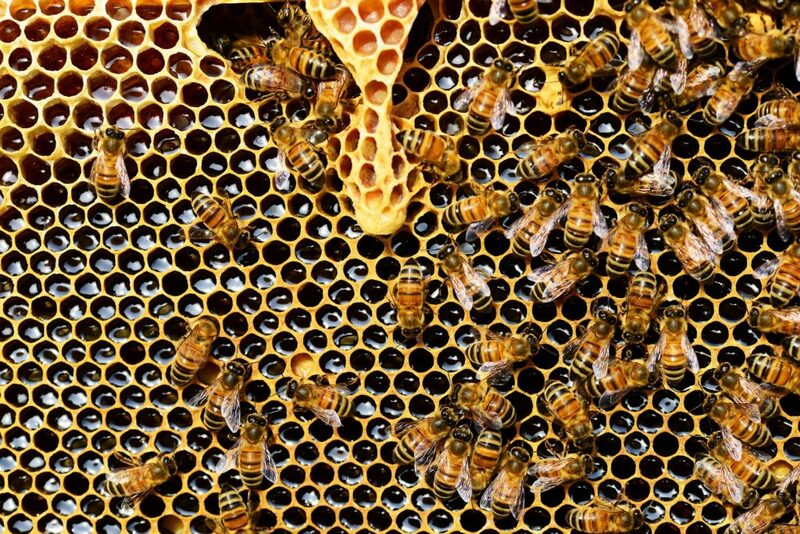 The Australian Honey Bee Industry Council last month lodged complaints with the Australian Competition and Consumer Commission (ACCC) and the New South Wales Food Council complaining about The Golden Ratio’s use of the word “honey” for a product that didn’t contain any honey. “To say that AHBIC is very disappointed with the response from either the NSW Food Council or the ACCC would be an understatement,” the council’s executive director Trevor Weatherhead told his members this week. “The ACCC advised they were not going to take any action but note it on their files. AHBIC has asked the ACCC to reconsider and are awaiting their response. Mr Weatherhead wants the products removed from sale because he says honey is a prescribed name under the Food Standards Australia and New Zealand Food Code 2.8.2. Food law expert Joe Lederman of Foodlegal, a law firm specialising in product and marketing compliance and is also the publisher of Australian Food News, says the ACCC and the NSW food authority could easily initiate legal action. The laws require that a product description must not be either false or misleading or deceptive, he says. The product description must also not contravene the correct prescribed food definitions and not be in contravention of the Food Act and the Food Standards Code, he says. “The penalties could run anywhere in the range from the tens of thousands to over $1.1 million for misrepresenting the product,” Mr Lederman said. Mr Lederman said he was not briefed to comment on this particular case but would expect a description change to be implemented to reduce the prospective legal exposure. “The law says determining when a product description is unlawful comes down not only to whether it breaches a prescriptive regulatory definition, but it can also depend on the reasonable consumer’s expectation in relation to the particular product category,” Mr Lederman said. Vegans have come under attack over the product from a line of questioning posing whether vegans could consume the product when an ingredient was apple juice concentrate, made from apples pollinated by bees. In response, Vegan Australia director Greg McFarlane said the philosophy was applicable “wherever possible and practical”. “You’ve eliminated the first level problem (by avoiding honey). The second level problem is the use of animals in the process, such as bees for pollination … We do as much as possible,” Mr McFarlane said. He said veganism was opposed to animal suffering, leading it to oppose the consumption of honey because “100,000s of bees are killed during the extraction process”. That claim was rejected by the bee council. 1. Some foods derived from insects such as real honey might possibly qualify as vegan for many vegan consumers. It is based on the same principle that while kosher or halal consumers are not permitted to eat insects by their religion they are nonetheless permitted to eat honey as if it is not part of the bee but as a transformation of the pollen or nectar collected by the bee. 2. Similarly “soy milk” is a milk-like substance derived by process or transforming a plant. Regular dairy milk is produced by the bodily function of the cow albeit that the cow is fed a strictly vegetarian diet.